Throwing a great party requires some maneuvering and careful planning on your part to make sure all things run smoothly. 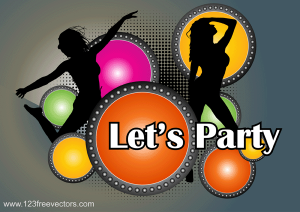 Here are some awesome tips on how to throw a great party which will help ensure it will be a success. There are various protocols of hosting a successful party, however, it is not rocket science so don’t fret. Some of the most important structure and protocols to follow are crowd density, food & drinks, guest list and music as well as some other ones we will also cover. Many people who throw parties have all the great requirements such as inviting the right people, great food and awesome music. However, the structure of the party can make all the other requirements moot. A common mistake is to have too many people who cannot easily move around because of the furniture. Perhaps there are other things which impeded the flow and people from mingling and enjoying themselves. If you have lack of space in the house or apartment it can lead to some of your guests leaving since there will be no room for them to join the fun. Before you start the party be sure to remove (if you can) big bulky furniture or fixtures to make room. Also, get a 2nd or 3rd room for those that want to dance or talk without having to shout over the music. Too many parties fail to get started on the right track due to time planning and crowd density. Most people who show up to a party too early or when no one is there will likely leave. This is why you should plan your starting time carefully. If you have friends who are punctual then invite them accordingly. However, those that you know are always late, invite them at least 2 hours earlier. By doing so you can make sure everyone will start to arrive around the same time. The crowd density should also be taken into consideration. If your apt is too small then you don’t want to invite 300 plus people or you will have lots of them standing on your hallway or outside. The same can be said if you have too much space. If that is the case then you should try to fill the party accordingly. Even 30 people can appear as a few in a big house when they are spread all over. Try to limit them to a certain area so they can all mingle in the same room or space designated for the party. Most of us have a certain genre of music we truly love. However, this doesn’t mean we should only base our playlist on that taste alone. Don’t make the mistake of only wanting to play songs or the kind of music you like while ignoring the taste or needs of your guests. If your music selection is not any good, you can be certain your party will fail as well. To make sure your party gets off on the right track be sure to know what kind of music most of your guest like and will enjoy. For those that have friends who DJ or can hire one, this can be a great way recipe for success. Ask friends in the party if there is a song they would like to hear. Perhaps one of them will have a playlist of their own which they know to be a great party starter and crowd pleaser. 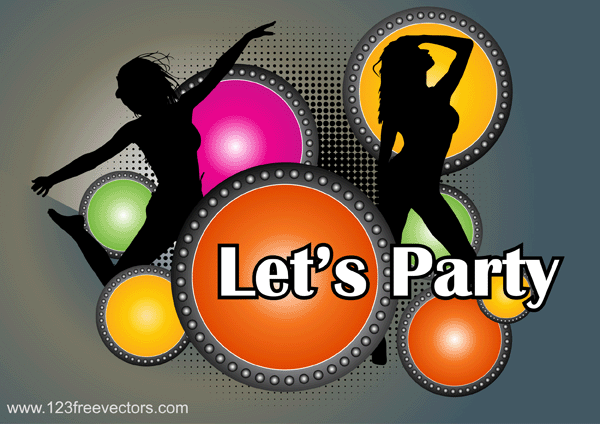 You can check various sites which offer you the perfect playlist selection based on the crowd in your party. Everyone that goes to a party usually expects to be fed and given beverages to drink. If you do not plan on providing food for those you invite, then be sure to let them know. Not having food or drinks for your guests is a sure way to have all the people you invited leave right away or be upset. Make sure you have some hot wings at the party since mostly everyone loves them. Of course you can always have the BYOB (Bring your own booze) format in case you don’t know what to serve or are on a budget. Don’t just have beer alone since some people may only drink wine or liquor. There is also vodka and many other chasers you can make to liven up your guests. Other tips to making sure your party is a success is taking the time to introduce people in the party who do not know each other. Make introductions to help break the ice among strangers in your party. You should also start conversations with the guests you know share common interests. Once the conversation has begun and they are talking you can move to the next group of people. A mistake you should never ever make is to get drunk at your own party if you are the host. If there is no one there to make sure everything’s running smoothly then chances are things may get out of hand or end before you want them to. Some hosts have been known to get so drunk that they have offended some of their guests at parties. Worse of all, they barely remember what happened at all. Another tip is making sure you have a deck of cards on hand. If the party fails to get going you can always start a game of spades or something else. With the deck on hand you can also start a game of beer pong which is a sure way to get the party going and the crowd jumping. If you follow these tips then chances are everyone will look forward to the next party you throw and that in itself will ensure that the next one will be an even better.